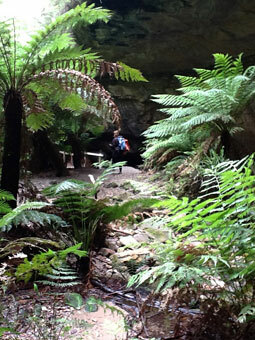 Welcome to the Blue Mountains World Heritage National Park. 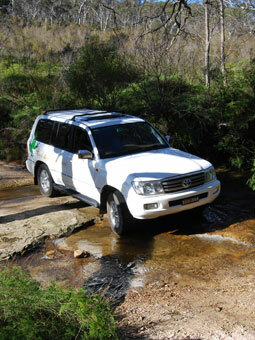 Tread Lightly eco tours supplies interpretive ecological tours in the Blue Mountains World Heritage area 90 minutes west of Sydney, specialising in fully guided bush walks and 4wd eco tours. 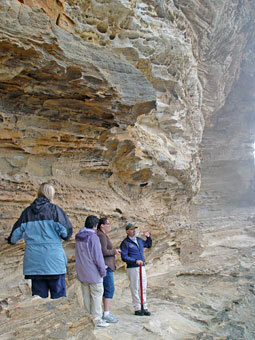 Tread Lightly eco tours are specialists in the environmental and the cultural aspects of the Blue Mountains World Heritage region with tours that explore remote wilderness experiencing the natural beauty and ecology of this region. Tread Lightly eco tours are Advanced Ecotourism Accredited by following minimal impact and best practice touring and in 2010 are acknowledged as one of the top 50 responsible, ethical and sustainable businesses in Australia. Professional interpretive guides with extensive knowledge of geology, fauna and flora, Indigenous culture, astronomy and venomous creatures will accentuate your World Heritage experience. Visiting ancient rainforest, waterfalls and deep canyons in the World Heritage area offering great photographic opportunities.